Seven spacious bedrooms, each with private bath, provide an extraordinary place to relax and enjoy Kentucky's natural beauty. To enhance your visit, stay in one of the four rooms which have private balconies. 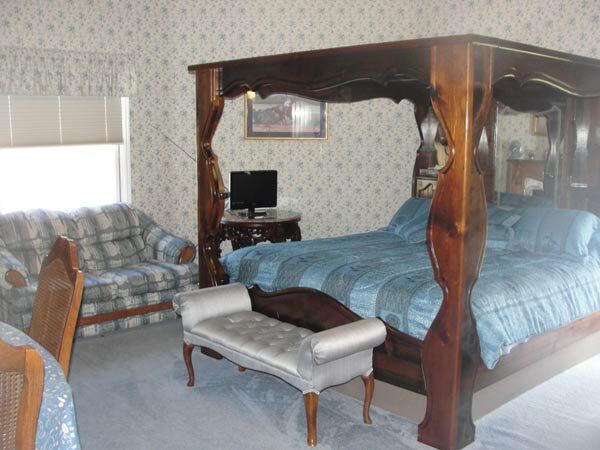 If you're honeymooning, our spacious Bridal Suite is furnished with a solid wood canopy bed big enough for four! 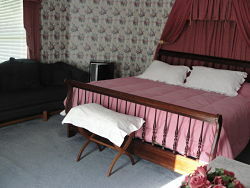 A lovely room with king size bed and private bath. TV / VCR also. 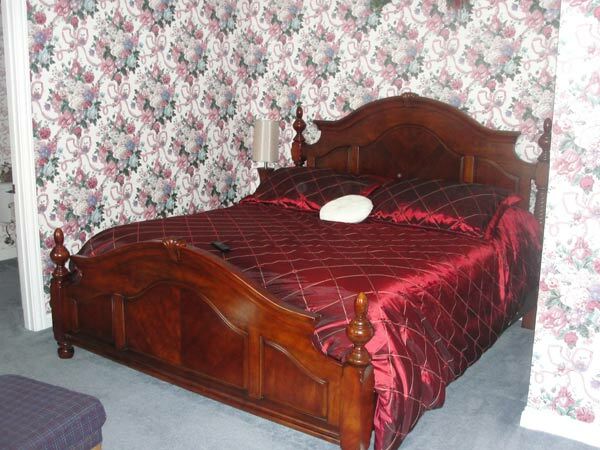 A queen size bed and private bath with TV/VCR and a balcony. 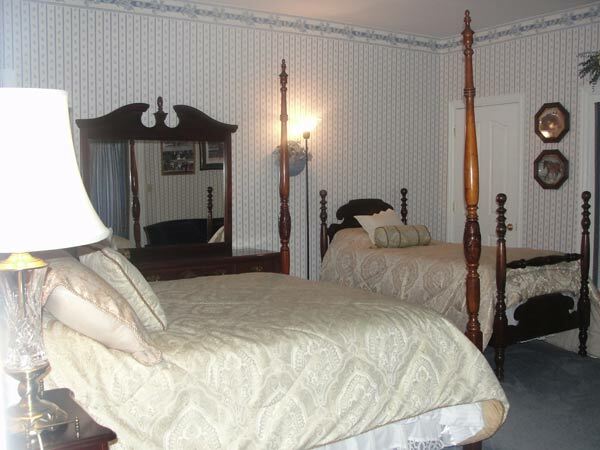 A lovely room with fireplace and private bath. King size bed and TV/VCR. Pink flowers will woo you when you step in the round room. King size bed Private bath, TV/VCR Refrigerator and micro wave. 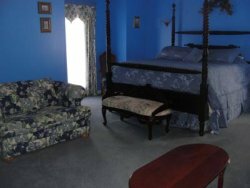 Beautifully decorated in blue flowers with a king size wooden canopy bed with a mirrored ceiling, a small love seat and lounge chair. 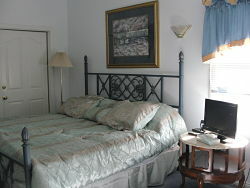 All of our rooms have private bathrooms, TV/VCR's and coffee makers. 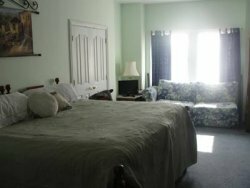 This is a large room beautifully decorated and has A king size bed/private bath and TV/VCR. Mamma's room has a king sized bed, a full sized couch and access to the front deck overlooking the flowing hills and farms of Kentucky. With its own private bath, TV/VCR and coffee pot you'll feel at home in this cozy room.